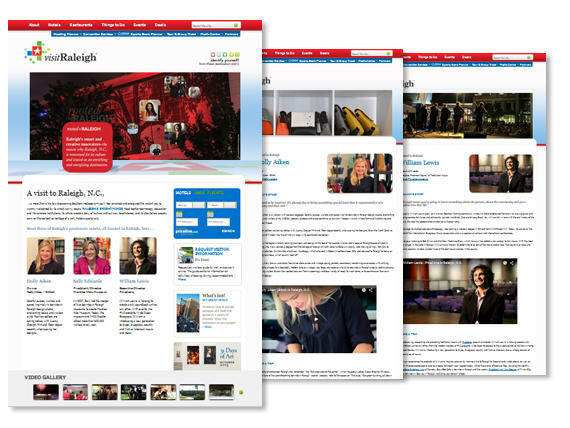 The Greater Raleigh Convention and Visitors Bureau (CVB) has developed a number of creative platforms and marketing pieces through which visitors and other customer audiences will interact with the tuned-up Raleigh, N.C., destination brand. 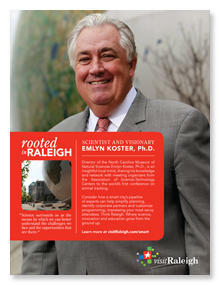 The CVB&apos;s Sales Department presented the “Rooted in Raleigh” concept at many meetings/conventions-market trade shows in 2015-2016. 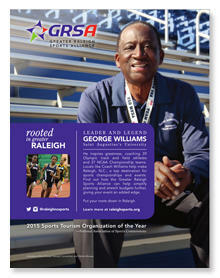 The Bureau uses Raleigh, N.C.-made products as giveaways/premiums for meeting planners/client organizations that represent future business for the destination. 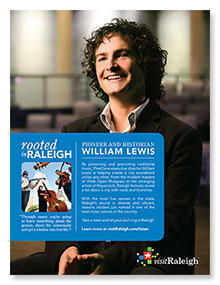 Raleigh-made products are also given away as thanks for submitted RFPs. Pictured below is an example from the IMEX America show in Las Vegas in Oct. 2015. 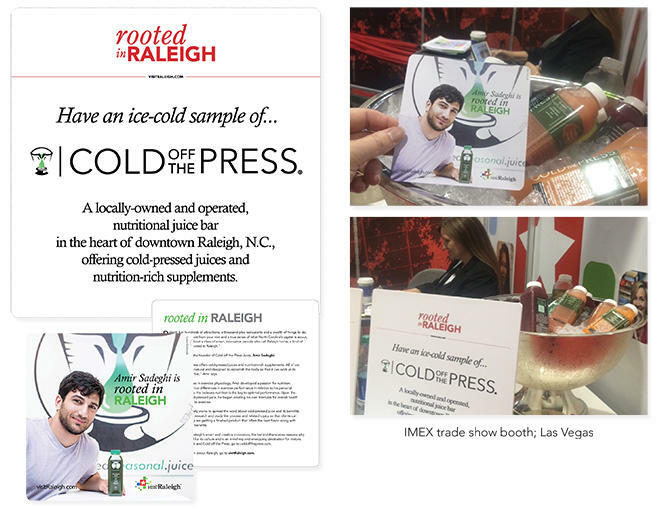 The annual theme of the trade show was "well-being," so CVB national sales manager Loretta Yingling, CMP, provided samples of Raleigh-made Cold off the Press juice to attendees interacting in the CVB booth and awarded Sluice Hammocks as thanks for meeting planner RFPs. 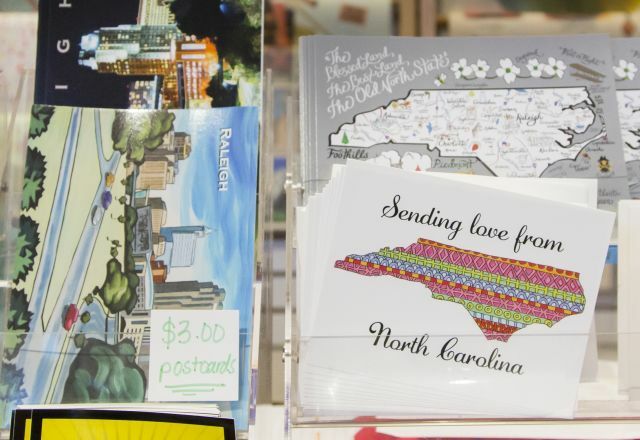 The Sales team has also given Videri Chocolate Factory, Holly Aiken - Stitch and Hawks and Doves products (in addition to many others) as Raleigh, N.C., promotional items. 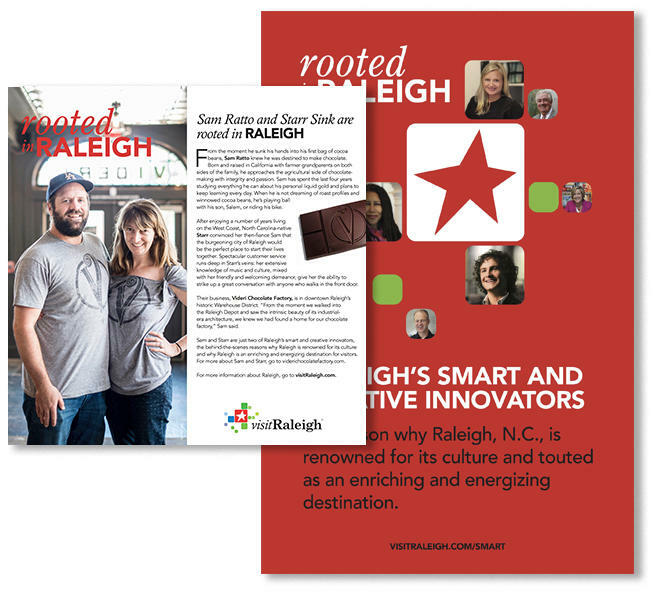 Each client gift is presented with a visitRaleigh-brand card introducing the product creator and telling his or her individual “Rooted in Raleigh” story, tying directly into the destination brand.